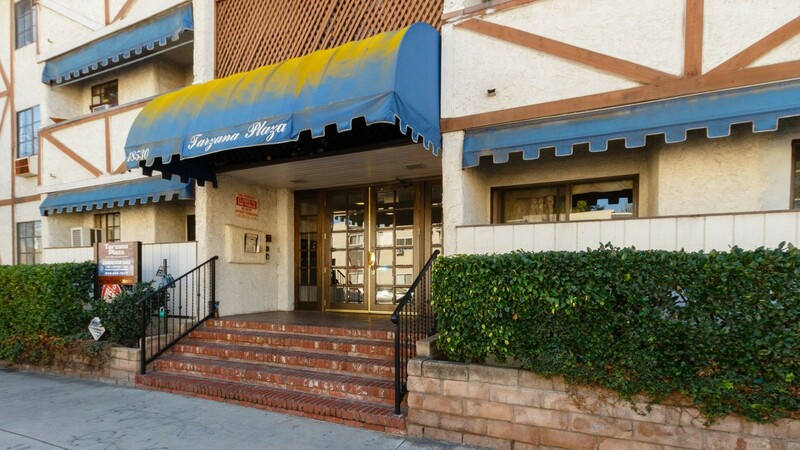 Spacious and well appointed Tarzana condo with 2 Master Bedrooms! This unit is light and bright and features hardwood floors and a beautiful kitchen with custom cabinetry, granite counter tops. Upper level unit located close the stairway with 2 parking spaces included! The complex features low HOA. Centrally located in Tarzana with easy freeway access, close to shopping, parks, and schools. Move in to this beautiful condo or purchase as a great investment with high rents in the area! Traditional Sale! Large Living Room With Ceiling Fan and Wood-Style Laminate Floors! Beautiful Kitchen With Newer Cabinets, New Granite Counter tops, Breakfast Bar, and Tiled Back splash! Big Dining Area With Ceiling Fan and Slider To Balcony! Two Big Bedrooms with mirrored closet. With Private Bathrooms! Lots of Storage Space! Big Balcony Looking Out! Two-Car Tandem Parking Spaces! Lush Security Complex Has Pool, Spa, Rec Room, BBQ and Patio Seating! This Unit Is Located Close To Elevator and Parking Space For Easy In and Out! Excellent Location! Freeway Close! Must See!